Edgar Degas, Woman Ironing, begun c. 1876 completed c. 1887, oil on canvas, National Gallery of Art, Collection of Mr. and Mrs. Paul Mellon, 1972.74.1.
Who dictates when a painting is finished? As the holder of the paint brush, the artist who is investing personal creativity and effort into the work would expectedly have the ability and responsibility to make such a determination. However, the artist may not always have the final say regarding the finish of a work. The buyer, who has financially invested in commissioning the work, may legally demand delivery of the painting by a certain date, regardless of the artist’s process or the painting’s state of finish. Edgar Degas’s obsession with the creative process led him into such a predicament. Degas’s patron resorted to the courts in order to force the painter to finish and deliver three commissioned paintings after thirteen years had passed since the initial agreement. One of these paintings, Woman Ironing (begun c. 1876, completed c. 1887), appears as if Degas had stopped mid-stroke, with signs of un-finishing and opportunities for further adjustments. Degas would have likely continued reworking the painting had the court not legally forced him to hand over the work. Today’s viewer can only imagine the potential appearance of the painting had the law not intervened. Contrary to the artistic process, the law, especially contracts, demands more precision in the agreement’s execution from the relevant players. Contract law cannot easily accommodate art’s “elusive state of finish,” with only a few legal options for resolution when these two areas collide. Degas’s Woman Ironing represents the impact that the legal promises made between the artist and the potential owner can ultimately impose on the creative process, when different expectations and agendas converge. Edgar Degas (1834-1917), the French painter, draughtsman, printmaker, sculptor, and pastelist, was a founding member of the Impressionist group of artists. Degas organized several of the group’s exhibitions, although he viewed himself more as a realist or a naturalist painter. Preferring urban subjects and artificial light, Degas was a keen observer of everyday scenes. Degas’s paintings and drawings expose the artist’s musings on not only the subject matter but also art itself. According to Degas, “my art has nothing spontaneous about it, it is all reflection.” (Monnier). Degas’s technique featured the subject’s movement and the underlying rhythms of the work. He experimented with different materials and techniques to explore different creative processes. Degas’s concept of finishing was fluid. He continually reworked his paintings, with his attention more on the process than the final product. (Hoenigswald and Jones 2017, 46). For Degas, “there never was such a thing as a finished painting at all. Every painting existed in a state of flux, inviting him to return to it, offering him the unlimited possibility of change.” (Hoenigswald and Jones 2017, 46). Thus, the usual signs of finishing (presence of a signature, public exhibition, sale) are not dispositive in the context of Degas’s work. (Hoenigswald and Jones 2017, 22). 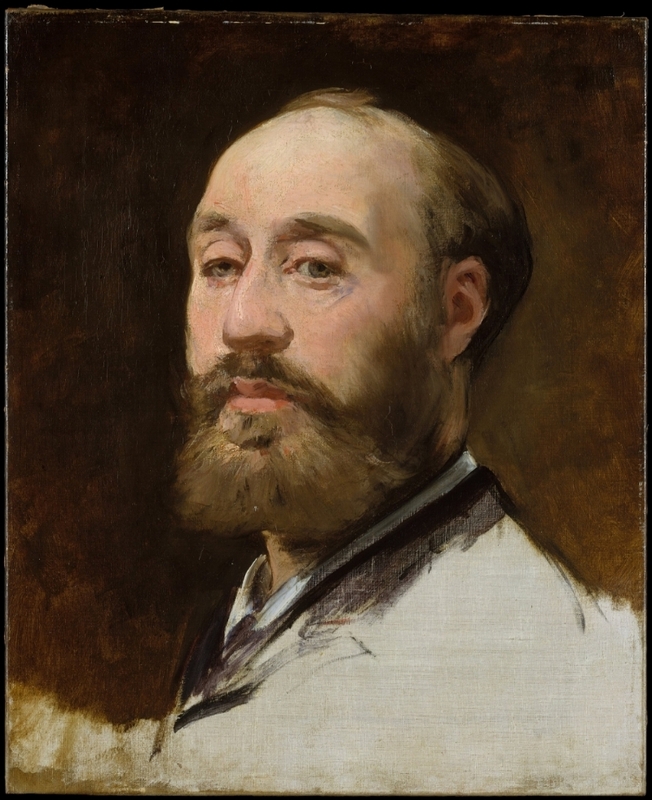 Édouard Manet, Head of Jean-Baptiste Faure (unfinished), 1882-1883, oil on canvas, Metropolitan Museum of Art, Gift of Mrs. Ralph J. Hines, 1959, 59.129. In the mid-1870’s, Degas and his family experienced a financial crisis, with the death of Degas’s father, debts accumulated by his brother, and the fall of the De Gas bank. Under pressure to sell his work, Degas felt himself attached to a millstone, forced to grind out small pastels of ballet subjects that could be produced and sold more quickly. (Reff 2011, 320). This approach towards production competed with Degas’s obsession with technique and experimentation – a more time-intensive approach to art. In March of 1874, Degas asked Jean-Baptiste Faure (1830-1914), a famous baritone and patron of the artist, to buy back six pictures from Durand-Ruel, Degas’s dealer, for 8,800 francs so that Degas could rework the paintings. In exchange, Degas promised to paint five large compositions for Faure for an additional 1,500 francs. Unfortunately, Faure did not recognize in Degas’s reclaiming of these pictures a “sign of perfectionism,” that would result in a thirteen-year delay in the delivery of these paintings. (Reff 2011, 322). In 1876, Degas delivered only two of the five commissioned paintings. Degas’s need to work on more commercially viable works may have contributed to the delay. In a letter to Faure in March, 1877, Degas wrote: “Your pictures would have been finished a long time ago if I were not forced every day to so something to earn money.” (Kendall 1987, 103). However, competing with these financial demands was also the artist’s “imperative need to innovate, to experiment, to find new solutions to problems of composition, expression and execution.” (Reff 2011, 323). In 1887, Faure eventually sued Degas in court for failing to deliver the paintings. In a letter found with related court documents, Degas had urged his lawyer to gain time for him to finish the paintings to the artist’s satisfaction. (Reff 2011, 322). Despite this appeal, Degas lost the trial, and a judgment was filed against the artist by the Tribunal civil de la Seine on May 24, 1887. Degas eventually delivered the remaining works (including Repasseuse a contre-jour/Woman Ironing) to Faure, who later sold the works to Durand-Ruel in 1893. With this ultimate disposition of the paintings, one historian has concluded that the likely motivation for the lawsuit was “the notoriously vain singer’s wounded pride” and not necessarily a desire to have those specific paintings. (Reff 2011, 323). Degas’s Woman Ironing, one of the paintings commissioned by Faure, highlights the artist’s interest in the movement, posture, and rhythms of work. The line of the woman’s body leaning into the iron reflects the downward pressing and circular strokes of the movement of the iron. The curtain of garments surrounding her add light and shade to the scene. With this subject, Degas is not necessarily making a social statement about women working but instead is emphasizing the ephemeral quality associated with these repeated rhythmic gestures. Despite the timelessness exuded by the subject, the technique in a Woman Ironing shows the pressure of time the artist may have felt while creating this painting. One art historian has written that “[i]ndeed the entire painting, lovely as it is, seems somewhat forced and even contrived as if Degas had been attempting to compensate for the great delay in its delivery.” (Pantazzi 1988, 426). For example, the finishing of the woman’s skirt appears not to match the more intricate details of her face and blouse. The pressure of a deadline, however, did not prevent Degas’s innate need to experiment with various techniques. X-radiography and infrared imaging reveal preliminary sketching in charcoal and washes and changes to the composition such as the placement of the shift being ironed. (Hoenigswald and Jones 2017, 33, 34). Degas also reworked the arms, back, and shoulders of the woman perhaps to emphasize the pressure she is exerting with the heavy iron. (Hoenigswald and Jones 2017, 34). With this particular painting, he also experimented with the technique of scraping and glazing to render the laundry hanging in the background to appear more translucent, filtering the light from the windows. (Reff 2011, 323). Despite these signs of reworking, Degas likely would have further continued working on the painting. A contract is a “promise or set of promises for the breach of which the law gives a remedy, or the performance of which the law in some way recognizes as a duty.” (Restatement (Second) of Contracts, § 1(1981)). Courts will generally enforce a promise if it was made as a part of a bargained exchange for another promise or for the performance or forbearance of an act. The Uniform Commercial Code (UCC) governs contractual transactions of goods. Goods are defined as tangible personal property which are “movable” at the time the parties identify the property for sale when the contract is made. Goods that are not yet existing at the time the contract is made are identified as “future goods.” (UCC § 2-105). What happens when one party to the contract fails to perform his or her legal duties due under that contract? The basic principle underlying contract remedies is that the aggrieved party should be placed in the same position it would have been in but for the breach of the contract by the other party. (Farnsworth 1970, 1147-48). Three different options are available to the buyer in the case where the seller fails to deliver the particular goods at issue. First, the buyer may “cover” by purchasing substitute goods in good faith and without unreasonable delay. (UCC § 2-712(1)). The buyer may then recover the difference between the cost of cover and the contract price together with incidental and consequential damages resulting from the breach of contract, less any expenses saved. (UCC § 2-712(1), (2)). Second, the buyer may also sue for damages, covering the difference between the market price at the time when the buyer learned of the breach and the contract price, together with any incidental and consequential damages but less any expenses saved due to the seller’s breach. (UCC § 2-713). Third, the buyer also has a right to “specific performance,” compelling the party to perform the contract, in such cases where the monetary damages discussed above would not provide a sufficient remedy for the breach of contract. (UCC § 2-716). Such relief is intended to secure for the buyer the very benefit he was promised. The uniqueness of the goods subject to the contract provide the most common ground for finding that monetary damages are inadequate. A Buyer’s Remedy or an Artist’s Impairment? A court order directed to an artist to finish a work of art can result in a coercive and highly intrusive course of action as seen in the context of Degas’s painting of Woman Ironing. While Faure commissioned Woman Ironing and other paintings from Degas over a hundred years ago, what legal options would have been available to Faure if the agreement had occurred today? Faure would likely not have the option to “cover” and purchase substitute goods, as the paintings were unique. As in nineteenth-century France, Faure and modern buyers in his position could sue for specific performance, as the commissioned paintings qualify as unique goods. Civil law systems such as that in France prefer specific performance over an action for monetary damages. (Scalise Jr. 2007, 726). Under modern contract law in the United States, a buyer like Faure would also have the option to sue the artist in court for damages that cover the difference between the market price at the time Faure learned of the breach and the contract price. Additional details about the agreement between Faure and Degas and the breach of the contract would be necessary in order to calculate these hypothetical damages. Under this option, Faure could have the theoretical opportunity to even make a “profit” if the market price exceeded the contract price. While paying Faure monetary damages may not have been a practical or feasible alternative for Degas, this remedy would have allowed the artist to continue working on the paintings and the artistic process which he so favored. Moreover, Faure’s sale of the paintings to Durand-Ruel only a few years after the court case supports the proposition that Faure did not care about the specific goods but sought only some sort of redress for the breach. Perhaps monetary damages would have been the more appropriate remedy in this case. Either remedy, monetary damages or specific performance, does not necessarily favor the artist as the breaching party, with each course of action potentially interfering in some respect with the artistic process. The limited availability of options to resolve a breach between patron and artist such as in the context of Degas/Faure case reveals a significant relationship between creating art and the laws that govern the transactions around sharing this art with others. Part of this association is the realization that art is a business. There is a tendency to find, or to wish, that creativity and the business transactions that involve this type of property are mutually exclusive. However, financial transactions, such as the one completed between Degas and Faure, are an inherent part of art-making. Many artists rely upon the art market to support themselves financially and thus to create more art. The law generally guides these transactions to protect the rights and interests of both the buyer and the creator. 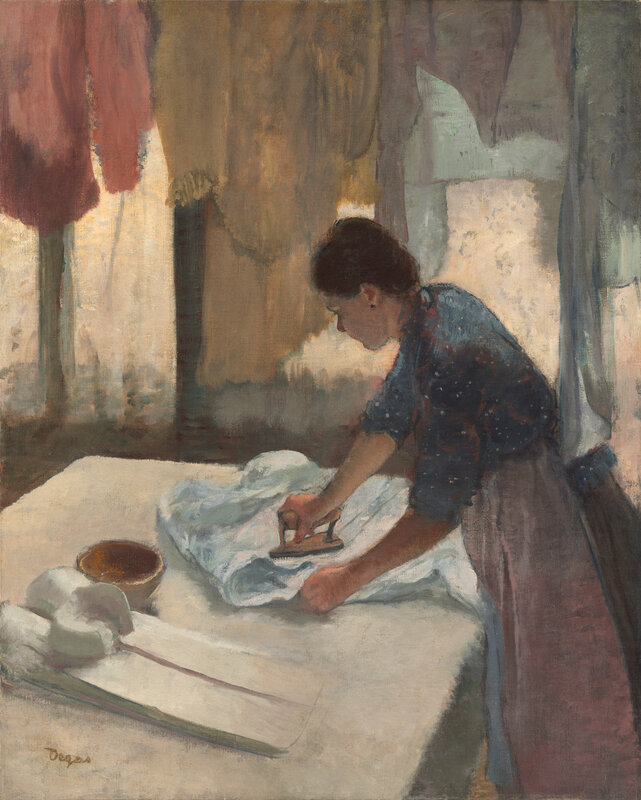 The business and corresponding legal aspects of art may not always be compatible with the creative process, as seen with Degas’s process behind Woman Ironing. In the case of Degas, the deadline to finish the paintings imposed by the contract directly impacted the commissioned paintings. Whether Degas was really “finished” with the paintings or what the final appearance of the paintings may have been is unknown. However, the events leading up to Degas’s predicament show that Degas, like other artists, could not create (or create at the same intensity) without the financial support from patrons and ultimately the legal framework that facilitates and protects such relationships. Without the legal remedies available as described above, patrons such as Faure would likely avoid investing in the creation of new art. While contract remedies encourage buyers to participate in the market and fund artworks, these remedies may interrupt or even clash with the artistic process. The Degas and Faure case offers a fairly mild glimpse into the encounter between artistic process and the law, with the case serving as, at best, a motivator for Degas’s work, or at worst, a curtailment of the creative process. The potential or actual disruption of the artistic process by the law offers some insight into the legal process itself. Art as a unique good does not fit in with the legal framework as cleanly as other types of property. For example, a buyer cannot find relief with substitute goods. One legal scholar has even questioned whether the courts can coerce a performance that is personal in nature like compelling an artist to paint a picture. (Farnsworth 1970, 1153). However, the limited availability of an artist to pay monetary damages in this context may render specific performance as the only practically available remedy. If an adequate legal remedy does not exist in this context, then one must think creatively in finding the suitable solution. Art tests the boundaries of contract law, as with other areas of the law. 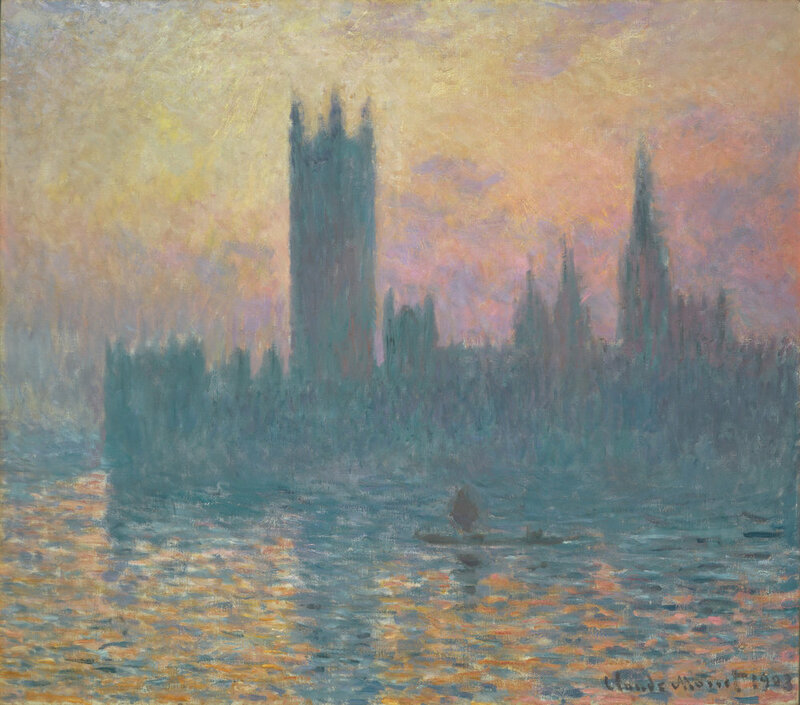 While the integrity of the law depends on applying a set of standards consistently to a variety of different factual scenarios, the uniqueness of art as a type of property can demand at times a creative legal interpretation. The special qualities that this particular type of good possesses may require further legal scholarship to develop more innovative standards and guidelines in order to iron out any kinks in the legal process. Perhaps the law too in this context is an unfinished canvas with the unique facts presented by different artists, demanding a continuous reworking of the law. Hoenigswald, Ann, and Kimberly A. Jones. 2017. "The Question of Finish in the Works of Edgar Degas." In Fracture, by Daphne Barbour and Suzanne Quillen Lomax, 20-49. New Haven: Yale University Press. Kendall, Richard. 1987. Degas by himself; drawings, prints, paintings, writings. London: Macdonald & Co. Ltd.
Monnier, Geneviève. n.d. Degas, (Hilaire Germain) Edgar; Grove Art Online. Accessed January 2, 2018. http://www.oxfordartonline.com/groveart/view/10.1093/gao/9781884446054.001.0001/oao-9781884446054-e-7000021805. Pantazzi, Michael. 1988. "Catalogue 1873-1881." In Degas, by Jean Sutherland Boggs et al., 195-360. New York: Metropolitan Museum of Art. Reff, Theodore. 2011. "Degas in Court." The Burlington Magazine, May: 318-325. Restatement (Second) of Contracts, § 1(1981). E. Allan Farnsworth, Legal Remedies for Breach of Contract, 70 Colum. L. Rev. 1145 (1970). Ronald J. Scalise, Jr., Why No 'Efficient Breach' in the Civil Law? : A Comparative Assessment of the Doctrine of Efficient Breach of Contract, 55 Am. J. Comp. L. 721 (2007). Jan 16 Whistler’s Nocturne in Black and Gold: An Impression of Truth & Justice?